People die every day. Almost 7000 per day in the US alone. But some of those deaths are more useful than others I guess. Especially when you are trying to sell something. Exactly. We should take a look at those that stand to profit from arming teachers or installing better security systems at the schools. It appears both sides are trying to use this issue as a tool of leverage. I'm just a lowly bucket of rocks salesman. Business has had an uptick as of late. Fridel also argued that the push to increase school security may be misguided in light of the data, noting that measures like installing metal detectors and hiring armed guards have been shown to have adverse effects on students. Thats exactly what they want. The authorities know its impossible to prevent mayhem from happening, but use it as the excuse to justify militarization of police, schools, venues, anywhere people gather. Better to indoctrinate kids as young as possible so they will be brought up to be more compliant. Yeah except Nazis did no such thing. That is correct and the image above is nothing more than propaganda perpetuated at the ignorant. 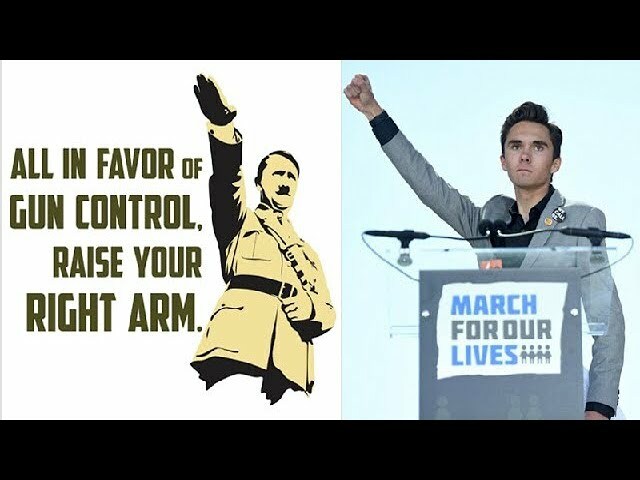 So you think that hitler did not take away guns from certain people?